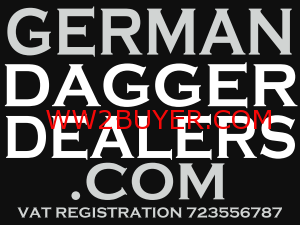 At German Dagger Buyers.com We Buy For Vetted Academic Collectors, Educational Facilities And Museums. All Enquiries Are Replied To Promptly Our Offeres/Valuations Are Free of Charge. We Are A Genuine Main Street Store Based Business Visited By Thousands ! We Are Sensitive To The Concerns Of Vendors Who Are Troubled By The Destination Of Their Items. We Entirely Distance Ourselves From Neo Political Groups . We Will And Have Advised Museums. Our Passions Are The Preservation Of Military And Social History Whilst Earning Money By Provided Guaranteed Original Items ! We do not buy firearms old spec or new spec deactivated guns or ammunition. We only buyer deactivated guns deactivated and certificated to 2017 E.U. Standard. 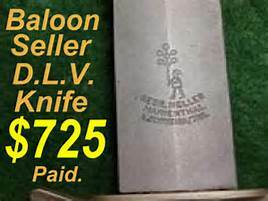 altered items, items with any glow-in-the-dark parts or coating, items containing mercury, dummy or inert grenades, shell casings or inert ordnance, or any ordnance items. 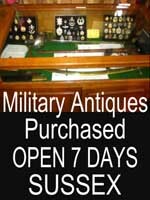 We do not buy, sell, trade or accept for consignment any of these items. 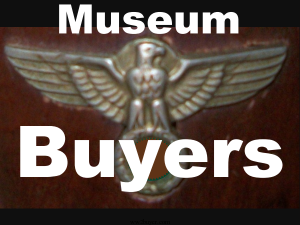 We generally help pay reasonable shipping costs or PayPal payment fees as negotiated with ww2buyer for original items we have asked you to send to us. Please do not send items to us by USPS Express Mail or overnight delivery unless we request you to. 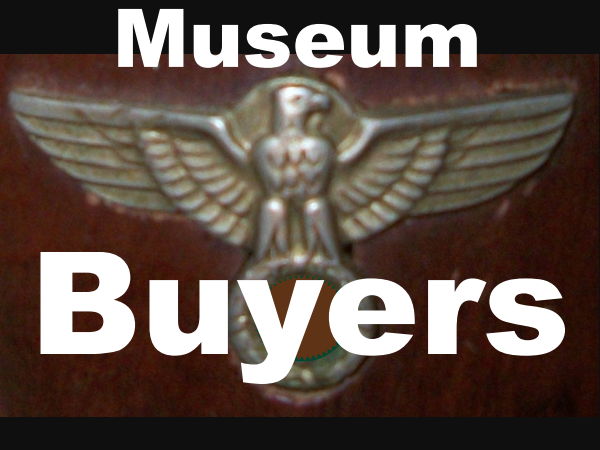 You must call, text or email WW2buyer.com and describe the items you wish to sell to Military WW2buyer and receive our approval before actually shipping any items to Military 18 High Street Arundel . 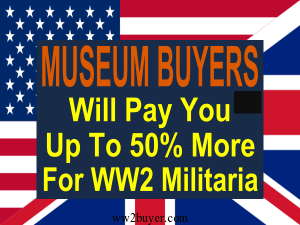 We reserve the right to either accept or reject for purchase or acquisition any items being offered to WW2buyer.com. For further information on all our other business policies please contact us. 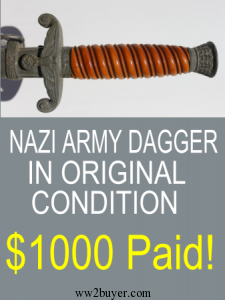 Anyone who sells, trades or gives to WW2buyer.com any item containing any amount of precious metal must be at least 18 years old or older. 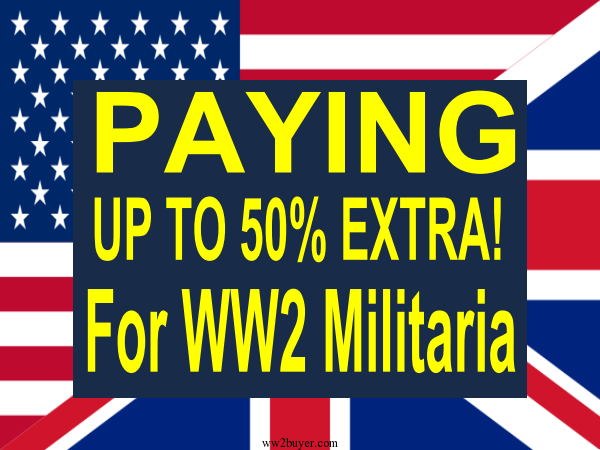 *Our “PAYMENT IN ADVANCE” offer is only available to those sellers who have a PayPal account in good standing and to whom we have extended this offer. 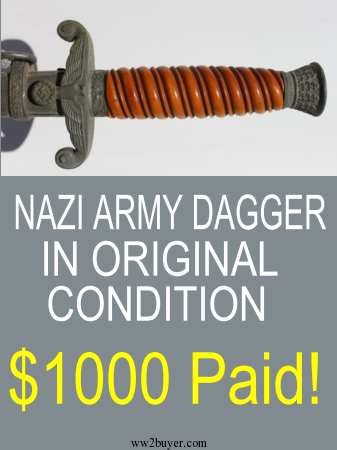 The payment must be returned to WW2buyer.com(less the seller’s original reimbursed shipping costs in shipping the items to German Dagger Buyers.com) in a timely manner if the items are returned to the seller or the purchase is not completed.